Despite multiple studies comparing laparoscopic and open appendectomies, the clinically and economically superior procedure still is in question. A cost analysis was performed using both institutional and societal perspectives. A decision analytic model was developed to evaluate laparoscopic and open appendectomies. The institutional perspective addressed direct health care costs, whereas the societal perspective addressed direct and indirect health care costs. Baseline values and ranges were taken from randomized controlled trials, meta-analyses, and Medicare databases. From the institutional perspective, open appendectomy is the least expensive strategy, with an expected cost of $5,171, as compared with $6,118 for laparoscopic appendectomy. 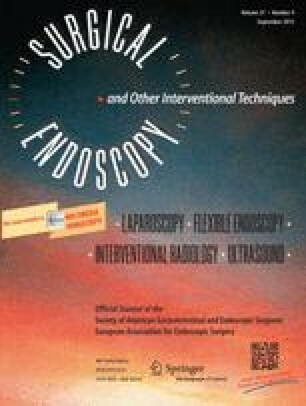 The laparoscopic approach is less expensive if open appendectomy wound infection rates exceed 23%. From the societal perspective, laparoscopic appendectomy is the least expensive strategy, with an expected cost of $10,400, as compared with $12,055 for open appendectomy. The decision analysis demonstrated an economic advantage to the hospital of open appendectomy. In contrast, laparoscopic appendectomy represents a better economic choice for the patient.